If we ignore his time with the Washington Capitals (which I recommend), Jaromir Jagr has been one of the greatest players in hockey history. He’s scored 700+ goals, won two Stanley Cups, and led the league in points five times. 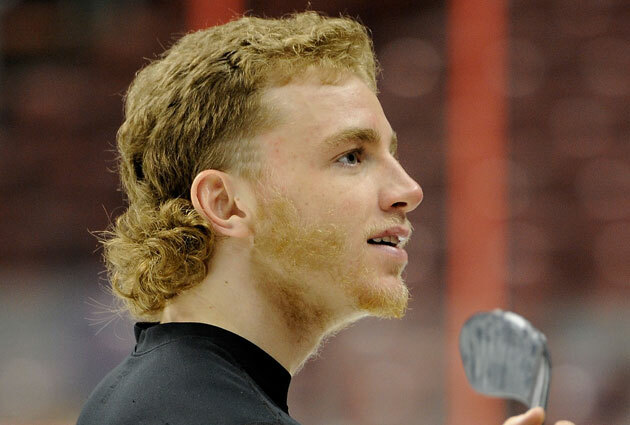 He also gave hockey the hockey mullet, which the sport still treasures twenty years later. Last week, one chapter of Jagr’s career ended when the Czech Republic lost 3-0 to Sweden in the bronze medal game of the World Championships. After the game, a medal-less Jagr announced his retirement from international competition. I’m sure that made people sad; I just don’t know who those people are. Jagr will play one more season in the NHL with the New Jersey Devils. In his honor, let’s remember Jagr’s final moments in this year’s tournament. Behold! His penalty box meltdown against the Finns. No, no, no. Video? No. GIFs! I need GIFs! And I need them in EXTRA-DRAMATIC black and white. It’s like Fritz Lang shooting hockey. I’m going to stare at these for the next hour. It’s funny. If Jagr had shown a fraction of this passion while in D.C., I probably wouldn’t be writing this now. Then again, we also wouldn’t be called RMNB.